Sam Galsworthy and Fairfax Hall, Sipsmith’s Founders, both have a drinks industry background, Sam worked for Fullers the brewers and Fairfax for Diageo. They are ably assisted by drinks guru, Jared Miller. When the first batch of gin poured from a still named Prudence on 14th May 2009, Sipsmith became the first copper pot distillery to open in London in nearly 200 years, arguably marking the start of the modern craft distilling movement in the UK but also a poignant return for the capital to its cottage distilling heritage. "We really didn't know anything about distilling when we started talking about opening a distillery," recalls Fairfax Hall. 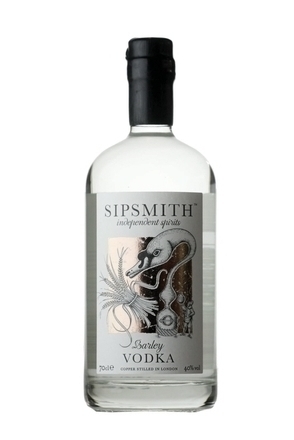 At the time, he and Sam Galsworthy, Sipsmith's co-founders and life-long childhood friends, were working separately in America and were unconnected to the world of spirits production. But as they caught up over a G&T in a cafe in Philadelphia, the conversation between Fairfax, then an MBA student and Sam, working for Fuller's brewery, happened to turn to the emergence of the craft distilling movement in the US. "Tuttlehilltown had kicked off, Hangar One and Philadelphia Distilling had just got going, and they were all getting a great reception," remembers Fairfax. "I think we were drinking Junipero - it was certainly a big, strong gin and that was essentially when the seeds of an idea were sown. It was probably Sam who actually suggested opening a distillery, but I was just as keen." This was in 2002, and over the next few years the two friends would return to the topic again and again, becoming more earnest with each conversation. Fairfax joined Diageo -a strategic decision to learn more about the world of spirits - but it wasn't until five years later that they agreed they had reached tipping point. They could either go on talking about it, or get off their butts and do something. In January 2007 the two jumped ship. "It was a gamble, and the storm clouds were gathering around the economy, but our confidence was really high because there wasn't anyone else in the UK doing what we were proposing," says Fairfax. "But it started to feel real when we both sold our houses and took the equity to invest in Sipsmith." One of their first steps was to commission a still from German firm Christian Carl. 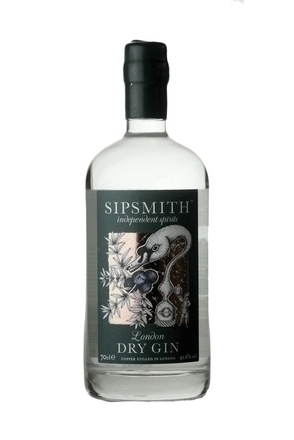 Incidentally, Prudence's name is a cheeky reference to the straitened economic times in which Sipsmith launched - the concept of 'prudence' was then prime minister Gordon Brown's favourite topic. Sam and Fairfax had nowhere to actually site Prudence yet, but managed to find the property that now houses Sipsmith in a serendipitous twist of seemingly random events that now look like fate. First, Fairfax remembers being at a wedding, chatting to another guest who turned out to be a sculptor. Separately, a few days later he was looking on the internet for property and came across a studio/garage space in a residential street - he and Sam were keen they should be part of a community and not relegated to an out-of-town industrial park. Next, Fairfax paid a visit to the property at 27 Nasmyth Street, Hammersmith W6 and, looking through the window, spied a huge collection of dusty spirit bottles. If that were not a good omen in itself, it turned out the space had previously been rented by the late drinks writer Michael Jackson (27 March 1942-30 August 2007). And in another twist of fate, the owner of the building proved to be that very same sculptor who Fairfax had met at the wedding. Spooky. Finally, they discovered that the building previously housed a micro-brewery, supplying ale to a pub on the street behind. (The Rising Sun which from 1890 to the 1960s was at 20 Cardross Street.) It was practically meant to be. Unfortunately, starting up the site as a distillery was, they found, easier said than done and it took nearly two more calendar years to get a licence. This being the earliest days of the craft distilling movement, Her Majesty's Revenue & Customs officers were unused to the idea of a small commercial still in a neighbourhood environment and quickly decided that what the budding distillers were proposing was, well, illegal. Technically, they cited anachronistic laws that prevented the location of a still close to retail operations (to prevent black-market sales). Fairfax and Sam appealed - after all, many Scottish distilleries already had visitor centres and bars - and their case was referred up to Glasgow. Having started this quest for a licence in January 2007 - the time they had quit their jobs - it wasn't until December 2008 that they were ultimately rewarded with a licence, now proudly displayed in a frame in the still house. By this time, the economy had really tanked and bars were going out of business left, right and centre. Sam and Fairfax had not been earning money for nearly two years, and they'd also persuaded their friends and family to invest in the business too, so the pressure was mounting. "That was definitely the most nervous that we've been," says Fairfax. The next challenge was addressing the technicalities of distilling - as much as they had read around the subject and sought advice from gin distillers, including Beefeater's Desmond Payne, none of that gave them the expertise to deal with the nuance of making a consistent spirit, the effects of different still designs, and the logistics of operating and maintaining a still day-after-day. The question of whether they could actually make a decent gin was answered at a Negroni Club party at the Beefeater distillery, where gin writer Geraldine Coates introduced them to Jared Brown and Anistatia Miller, the drinks writers and historians. Sam and Fairfax were thrilled to learn Jared and 'Stash' had been involved in the early days of a tiny little distillery and bar in Idaho called Bardenay. In another serendipitous twist, they were now living in Ealing, west London, close by to Hammersmith, having recently relocated from the US. "When Jared and Anistatia learned Sam still had friends at Fuller's, they asked to go on a brewery tour, and it was on that that I remember being incredibly impressed about the depth of their knowledge," says Fairfax. "You can't fail to be blown away with how much they know, and we gently sounded them out, discussing the still design and the gin recipe." It wasn't long before Jared joined the duo as master distiller. In fact, it was the very next day, as Jared recalls: "I realised they shared my belief that the best possible gin is one that reflects the mastery of previous generations of distillers. Reinventing the wheel, coming up with new and different botanicals simply didn't appeal. They shared my passion for tradition and so I started working with them first thing the morning after we met." Work began on the recipe, though, as Jared admits, most of the hard work had been done by generations of long-dead distillers. "For us, the major task was fine-tuning the formula to our palates, and also to Prudence. Imagine a world where no two cookers performed in the same way: recipe books would be rough guidelines at best. That's distilling." If they expected their first run through Prudence to be a walk in the park, they were in for a nasty surprise. "We'd spent ages designing the recipe and we naively thought it was a question of extrapolating the recipe, wacking it in, turning it on and turning it down if it boils too much," says Fairfax. "But what came over was so disappointing - it was a car crash of different flavours. We learned that the still had its own personality and it was Jared that said we had to slow everything down so each of the botanicals could shine through. It was astounding to see how his palate could detect how each of the botanicals emerged at different points." That first batch came through in mid-January 2009, but it was another two months before the first production batch came off on 14th March 2009. "It was the same day as my daughter was born," says Fairfax. "I came from the hospital to the distillery to see my second baby born." The next chapter in the Sipsmith story was getting their product into bars. Sam, proud owner of a Yamaha moped, would load up with a few bottles of gin, and buzz around town hitting the bars. His first stop was The Bar at the Dorchester Hotel on Park Lane - an admirably courageous philosophy of 'aim high'. "We'd all written down the types of bars we wanted to be seen in and I knew the guy at the Dorchester's name was Giuliano Morandin," says Sam. "I didn't give him the 'hard sell' - in all honesty this was unfamiliar territory. I told him I'd love to have a meeting and he couldn't believe what we'd done. He asked me how many venues were we in and was quite flattered that we weren't actually listed anywhere. When I returned to meet with the Dorchester's F&B director, they said they didn't want another supplier, but Giuliano was quite insistent and placed an order for a case. We've still got the photos of that first case - I delivered it to the loading bay where they were more used to dealing with pallets. "And then we told everyone we knew to go in and order Sipsmith." With the Dorchester as their first client, the nearby bar at the Metropolitan followed suit, then the Martini Mecca of Dukes Hotel, and it waterfalled. After eight months of moped-ing around in the wind and the rain, Sipsmith boasted more than 50 accounts. They shifted 40 cases the first month, doubled it in the second, then they got a shock when demand seemed to stagnate at 85 cases. "We thought 'whoops'," says Fairfax, "but then we were into October and it started picking up again." By this time, the moped was blatantly insufficient to their needs. "I'd have two cases between my legs, two on the seat, and then another two in a pizza box on the back," says Sam. "I wasn't stupid but we had a few near misses: two cases fell off on the way to Gerry's once. I had to explain what the dents were in the box. I remember those days so fondly partly because we got to know all those guys in the loading bays. I think they enjoyed the ridiculousness of it all." The tipping point came in Spring 2010. With a presence on the back-bars of some of the best venues in town, and listings in Majestic, Waitrose and Ocado, they switched to a distributor. Today, Sipsmith produces 80,000 bottles a year, with Prudence practically running every day, making 300 bottles in each batch. Jared or assistant distiller Chris Garden taste every batch: "There will always be slight variations as the still is too small to produce exactly identical gin every time," says Jared, "but that's what I love about it. I haven't hit even a slightly dodgy batch since the first few months we were operating." 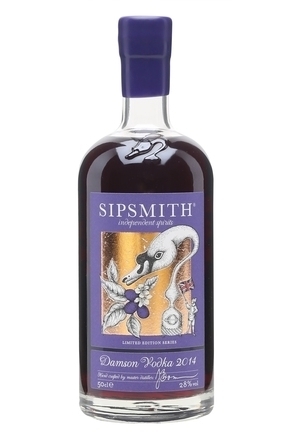 In addition to the core vodka and gin, Sipsmith has taken on the might of Pimm's with its Summer Cup ("it's gone bonkers," says Sam), and now there's sloe gin and damson vodka too. Jared, who cultivates his own gin botanicals, such as iris, angelica and coriander - and sloes and damsons for that matter - in his garden in the Cotswolds (for play, rather than production purposes), constantly experiments with potential new variants that may or may not make it on to back-bars and supermarket shelves. "I do a lot of new product R&D and testing these days. Some, like the Summer Cup, work out. Others, like the English Mustard Gin, aren't sufficiently shelf-stable to bring to market." "We're still young in our brand life cycle," adds Sam, "but we're never going to be a performing monkey adding more and more lines: we're all about two core brands and a handful of seasonal extensions." Volumes continue to head north, which puts Prudence's capacity in the spotlight - as well as whether the brand can still call itself a craft operation - and headcount is now at seven people. "There's definitely Prudence No. 2 on the cards," says Fairfax, "but I would categorically say we'll always be a hand-crafted operation, making small batches by just a few hands. When we expand and get another still it will be more batches and more hands but we won't compromise what we set out to do." 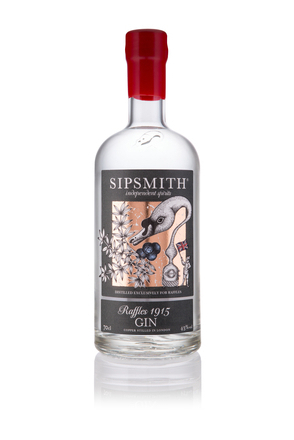 Sipsmith's journey so far has been a short one, but nonetheless epic in terms of the role it has played and its inspiration to others - a move which is seeing more and more cottage distillers entering the fray, not quite on the scale of the US craft movement but certainly with similar intent. "We've heard of a number of other business plans for gins that reference what we've done, but that doesn't worry me," says Fairfax. "I've always been firmly in the camp that the more small batch craft distillers producing quality products the better. I would definitely like to think we come to be seen as leading the craft movement in the UK." 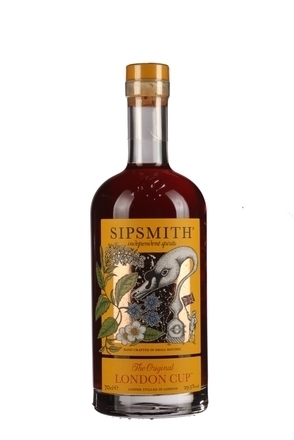 Launched in September 2010, Sipsmith sloe gin liqueur is produced in as as limited edition each year and is based on Sipsmith’s Gin. Each bottle is individually numbered.